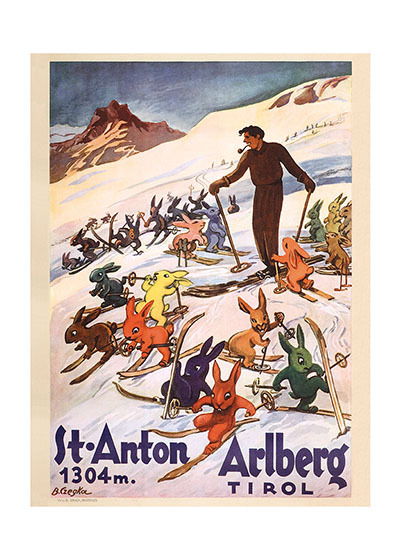 A delightful image of some youthful rabbits getting ski instruction in the Austrian alps. 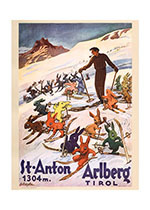 A delightful image of some youthful rabbits getting ski instruction in the Austrian alps. This was made as a poster for the St. Anton resort in the Tyrol.